Today’s sermon is not going to be a deep contextual or a major theological sermon, but more a pastoral heart to heart sermon based on a simple observation in the text. In my last two sermons we were simply observing the text to see how our Lord Jesus works. Two sermons ago we saw how He uses that which is natural to us to perform the supernatural. The lesson for us in it was that we sometimes simply bring our loaves and fish as insufficient as they are, but then God does what He alone can do with it. 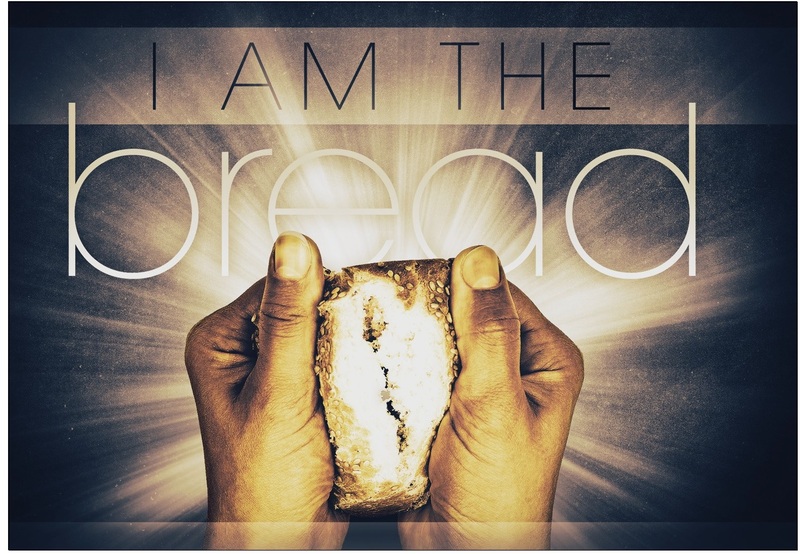 Last week we saw Jesus holding in His hands the insufficient loaves and fish, but yet He thanked God for it and blessed it and then we see the miracle performed. Even in this there was a message for us. How often don’t we want to give thanks only when God has provided that which is sufficient. When you look at the ministry of Christ here we are called to thank God for whatever is in our hands trusting that He can do so much more for us than even what we can think or pray. So of interest for us in this text is not just what Jesus did, but how He did it, because in it we learn from the Lord Jesus lessons for our own physical lives and our spiritual lives. It is like we are standing there and observing Christ and what He does and the way He does it, and into our mind springs the truth of Ephesians 5:1 (ESV) 1 Therefore be imitators of God, as beloved children. Now we cannot imitate Christ in everything because we are not God, but we can observe and imitate at least in the ways that is humanly possible. In the last sermon we saw that Jesus does what He does in a thankful, dependent, and joyful way. There is something else that Jesus did that interests me greatly and I want you to think through it with me, because in it I believe there are major lessons for us in how we live and also how we evaluate things. Two points for today. Point 1. Jesus performed His miracle in an orderly way. Something we are all concerned about in life is order, especially when it suites us. I remember years ago Gordon MacDonald wrote a book “Ordering your private world”. I am still battling to find the order form so that I can ‘order My private world’. In any case on the more serious note – when I look at the story before us I notice this in the ministry of Jesus. There is order even in the midst of the performance of the Supernatural. I am going to show you a video clip and then you tell me if you think that this is how Jesus performed. In it you will see Chris Oyakhilome's putting on a grand holy ghost show, and I have purposely typed holy ghost in my notes in small letters, as I do not believe this is the work of the Holy Ghost. If you want disorder, God will give you a pastor like that. When you look at the ministry of Jesus, there is no falling around and hysterics and I believe it is because of the pattern that Jesus set. When you look at some of the supposed miracle workers today, everything has to happen on stage, the focus is on the miracle worker, who alone is in touch with God and there is a lot of autosuggestion, crowd manipulation and chaos. In the time of Christ, people with ailments got up, the dead rose. With today’s televangelists they fall down. So Jesus performs this miracle in an orderly way. 1.1 We see it in the way He works with the people. John simply tells us that Jesus had the disciples instruct the crowds to sit down. The Greek word here literally means to recline. But remember it is not only John reporting on this miracle. Mark tells us that they were organized in groups of hundreds and fifties. Mark 6:39-40 (ESV) “39 Then he commanded them all to sit down in groups on the green grass. 40 So they sat down in groups, by hundreds and by fifties.” In Luke we see them being divided in groups as well. So what? How come I am talking about the Lord of order when I refer to this? Now remember, the Lord Jesus performs a mighty miracle, with what? Five loaves and two fish. Who did it belong to? To a young boy. Now remember what I said a few weeks ago. Jesus could have prayed for the heavens to open and for fish and loaves to drop out of heaven to everybody’s content. But Jesus does the supernatural with the natural and here we see Him doing the supernatural in an orderly way. Now I don’t want to read too much into this now, but look here at John’s report that the burial cloth was folded up. I don’t think that Mary did it. Even if she did, it does not matter. What grabs my attention is that in the realm of the spiritual there is a focus on and a reporting of order. So here we see that Jesus could have simply and supernaturally made bread appear before each individual, or He could have simply produced a huge pile of bread and fish and have the people pile in and take all they wanted, but instead He has them in a very orderly way recline in groups of fifty and one hundred for the distribution of the food. 1.2 We see it in the way He works with us. Now let’s think about this in relation to us, in its relation to our personal lives and in its relation to our ministry. There are some people who think of organizational matters as almost being unspiritual. They act as if compromise is involved if we look to things that are practical and organizational in nature. They act as if our efforts at organization amount to depending upon ourselves, and our strength, to accomplish something for the sake of the kingdom. Now it is possible to put your trust in organization rather than in God, but let’s think about this. Do we have two sets of rules, one for the spiritual and one for the physical? For the workplace we are on time daily, when it comes to the spiritual there are many who say that time does not matter. For the workplace we do things according to a high standard, but when it comes to the spiritual we drop our standard. The workplace requires discipline while the spiritual things do not. Is it not true that we often drop the standards way down when it comes to spiritual things as if that which is spiritual requires no order. Now at the same time I realize that our order does not determine our spirituality. I am not for a moment calling for new law and organization that equates spirituality, but I am asking a very serious question. Do we have double standards when it comes to the Lord’s work? Those gifts He gave us – are we using it for His glory or for our own popularity and gain out there. Illustration. I remember years ago we had a guy in our church that was quite talented in graphic design and I begged him to start us a small little newsletter. He would not because he was too busy and, and, and. Then one day one of the local schools announced at a parents evening that they needed somebody to do a newsletter for them and guess whose hand shot up. The very same guy who did not have time to use his God given talent for God’s purpose. I am worried when a committed Christian jumps at the opportunity to serve in another realm than where they are committed for their spiritual growth. Now we need to get the balance right here. We are not trusting in our order in the spiritual things; we are not trusting in our gifts and abilities. The disciples could have had the people sit down in any configuration, but if the Lord did not perform the miracle all their organization would have been in vain. If our success is based on organization then we are counterfeit and purely human, but if it is really blessed by God and undergirded by his power and provision, what a blessing. Jesus used organization on this occasion but the organization wasn’t the explanation for what occurred. Sadly too many churches and spiritual leaders today believe that our success is based on organization. Think what they would have done with this miracle. How many were in each group? How exactly did you have them sit down? What was the ratio among those groups? Did you organize them by age or by interest? Were they dressed casually? How did you avoid them having feelings of being needy? Did you avoid the word food? So, again, I grant you that it is in fact happening all the time that people put their trust in their organizational efforts instead of seeing that what we need is something only the Lord Jesus can do. I am pleading for the balance because having said all I said up to now; let us also recognize that this supernatural work did not rule out using a very organized and orderly method of distribution. Point 2. We need to function in an orderly way on all levels. We will see this verse later again, but the fact that God is a God of order is seen all over the show. 2.1 We see it in creation. The whole of creation speaks of order. We sang it this morning, ‘all heaven declares the Glory of the risen Lord’. I don’t need to elaborate on this, we all know that there is order in creation even though it is tainted by sin. There is order in outer space, order on this earth, order in the animal and plant Kingdom. The fact that our God is a God of order is seen in everything that He has ever made and everything that He has ever done. 2.2 We see it in the structure of God’s word. One of the things that excite me as a believer is the unity of Scripture. Not only is the fact that it begins at the beginning and ends at the end, but no matter where you find yourself in Scripture, there is order. Also in the way that the writers wrote under the guidance of the Holy Spirit shows order. Look at Paul’s epistles and you will see that he is very organized and very logical in the way that he presents God’s word. 2.3 We see it in the instructions to the churches. We don’t have time to study all of this but as you read the Scripture you will see that there is not only instructions regarding order in the church, but there must be order in the government, order in our families, just read Ephesians 5, and then there must be order in our lives. It is a sad day when we think that everything else has order except that which is spiritual. Trust God in an orderly fashion. Now even if John did not write this info in to point to Christ as a Lord of order, I believe it is a valid observation as we watch not just what our Lord does but how He does it. So let’s look at a few applications we can draw from the way our Lord works here. You notice the people in this text reclining and waiting for what our Lord is going to do, and the Lord does just what is necessary. Do you notice that He did not provide tomorrows food neither did He give them each a magic wand so that they could duplicate this again and again. Are we resting in God’s promises and His provision and are we waiting for it in an orderly way. I am so saddened when I see Christians running after every promise for quick bucks rather than knuckling down and ordering their private world and trusting God for their provision on a daily basis. The Word of God says that “he who does not work will not eat”, not “he who does not take chances does not eat”. So let’s desire what we need in an orderly fashion rather than what we want in a disorderly fashion. Do not confuse good organisation with a supernatural work of God. What we can do and put in the Lord’s hands must never be confused with that which God has done. We do not praise the results of our organization although we are thankful for it just as Christ gave thanks for the loaves and fish, but it is Him that completes the work that we praise. We must never trust in our order or organization. We organize as if prayer does not help, but then we pray as if good organization does not help trusting in Him alone for what He can do with that which we brought to Him. Remember that organization and order belongs to the spiritual realm. I know I touched on this a few times, but I am greatly concerned when I look at our commitment to doing things excellently in the world, but when it comes to the work of God we fall into disarray. We have often joked about ‘Africa time’ or ‘Baptist time’ when it comes to attending church. You know what. I will rather have you at church late than not at all, and I believe there is nothing wrong with being late when it is legitimate. That goes for work as well doesn’t it? If that is our heart attitude it must change. Let me give you a good recipe for orderly spiritual conduct. Take your best commitment to anything else, raise the standard two notches and then labour for the glory of God. Let’s obey Him and adhere to the order He has given, be it in the church or wherever else. Remember the Lord had them sit down first and then He multiplied the loaves and the fish. I don’t want to make too much of it, but I think there are times when God looks at the sloppiness of many believers and He chooses not to bless. I really think that sometimes God withholds what He can do until we have done what He has instructed us to do.